UCLan's International Hospitality Management programme provides students with a range of guest speakers and visitors, to offer a first-hand perspective of a career in the industry. Louise Fitzpatrick, National Account Manager for Travel Trade at Marriott Hotels UK, recently came in to speak with our second year students. She delivered an overview of the company, explaining the background, its history and the different sections which make up the Marriott brand. Louise also provided students with an insight into her managerial role with the company, discussing her responsibilities in sales and marketing and the strategies employed to maintain a strong brand presence. UCLan has a close partnership with Marriott, who offer students opportunities to work abroad or participate in a range of interesting activities every year. 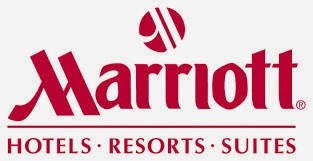 For further details about careers with Marriott please click here.